The cost of your treatment will depend on a few factors, including the number of aligners you need and the extent of the orthodontic issues that we’re trying to correct. However, you can rest assured that the price of Invisalign is usually somewhere in the same ballpark as that of traditional metal braces. When you come into our office to talk about getting your teeth straightened, we’ll be able to give you a better idea of how much you’ll have to pay. Many insurance companies are willing to cover at least part of the cost of Invisalign. If you don’t have insurance, be sure to ask us about setting up a payment plan. How Can I Take Care of My Aligners? It’s important to remove them when you’re eating or drinking anything other than cool water. You don’t want to accidentally damage them with food, stain them, or warp them with a hot beverage. After you eat, you should always rinse your aligner before you put it back in your mouth. This can help prevent bacteria buildup and keep your breath nice and fresh. You should also use the Invisalign cleaning system regularly. 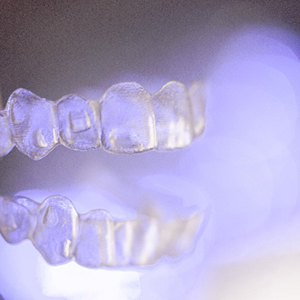 If an incident occurs and one of your aligners gets damaged, contact our office so we can help you handle the situation. You may have to avoid wearing bright lipstick or lip gloss throughout your treatment time. Those cosmetics may transfer to your aligners and cause discoloration. Clear lip treatments should be fine to wear, though. Will I Have to Wear a Retainer or Other Gear? During your treatment time, you might have to wear some attachments to help the teeth move more easily. We’ll talk to you more about the specific gear that you’ll need to make Invisalign as effective as possible for you. After your teeth are in their proper places, you’ll need to keep them that way by wearing a retainer. Once your treatment is finished, we’ll scan your teeth and create a custom mouthpiece that you’ll use regularly to keep your smile from becoming misaligned again. I’m Thinking About Getting Invisalign for My Teenager. How Can I Make Sure They’re Complying with the Treatment? 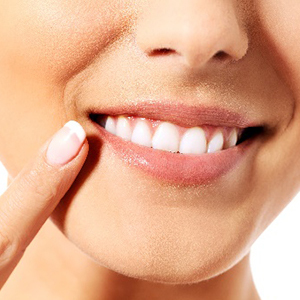 It’s true that it takes a bit of self-discipline to wear the Invisalign aligners the recommended 20 – 22 hours a day. Before you commit to Invisalign for your teenager, be sure to talk to them about the responsibility they’re about to take on. If you know your child well and are sure that they’ll be diligent about complying with the treatment, it’s a safe bet that Invisalign will work for them. You’ll also be able to check on your teenager’s compliance throughout the treatment period. The aligners for teens come with a small blue dot on them that will indicate if the they’re being worn as much as they should be.